Our vote goes to Palaye Royale as the most visually appealing band around today. Their Victorian-goth style is so unique that one would never guess they come from Las Vegas . The guys describe themselves as a “fashion art rock band” and they create their own art films for their songs. 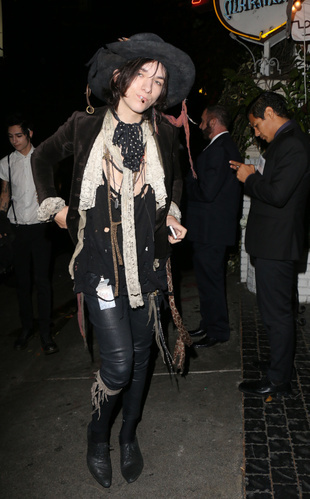 Drummer Emerson Barrett was photographed at Chateau Marmont.